Like any other business, a cafe must also be managed according to a management plan that provides for the definition of a number of elements, first of all the financial analysis to ensure economic sustainability and thus cost optimization. There are two aspects that the manager should especially consider for productivity: human resource management and organization of the work area. Human resources management means primarily the organization of shifts. The starting point is to define the business units of the cafe, e.g., the organizational units responsible for managing a particular business. The business units are different depending on the type of place: for example a cafe open from 6 a.m. to 8 p.m. has three organizational blocks; morning, lunch, and pre-dinner. The next step is to identify for each unit the moment of greatest influx, the peak point; this allows understanding roles, hierarchies and responsibilities of the various staff members within the unit, to avoid overlapping or “uncovered areas” and plan the possible use of temporary employees. the job description, namely the detailed description of roles, tasks, methods, equipment, responsibilities, etc. operations manuals that indicate the procedures and rules to be followed in carrying out their duties. As mentioned earlier, the organization of space also affects the efficiency and productivity of a cafe. The functional layout of equipment, machinery and products helps the staff to work better, quickly and efficiently. The choice of equipment is critical; it must be a help to your business and not an obstacle, so always choosing quality products helps you optimize your workforce. 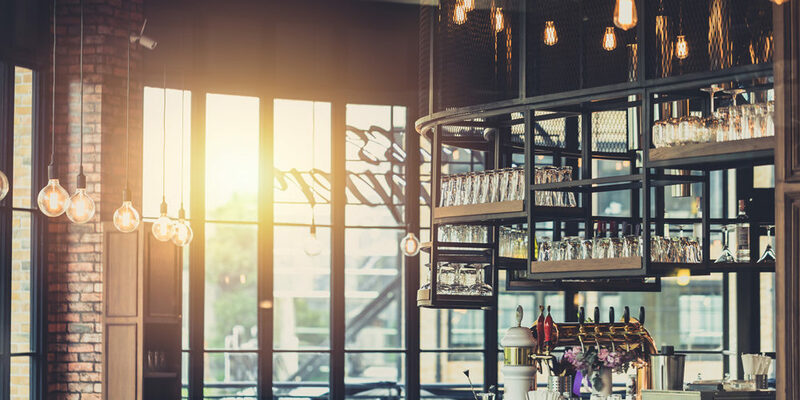 Operating spaces in a bar are organized differently depending on the type of site and products. The cafeteria area for breakfast, the dining area, the mixing area for a drink etc. will be laid out differently, and in each, all products and equipment specific to that service will be positioned differently. In any case, the barista is the reference point in establishing the organization of space; that is, everything has to be within reach and easily accessible, so that the barista can move comfortably and quickly and without crossing paths with or colliding with other employees, losing time or customer contact. For example, for the morning service, the espresso machine will be placed at the center of the counter to enable two operators to work simultaneously; next will be the coffee grinder and equipment for the preparation of other beverages; the glass washer will be placed behind the counter to facilitate its use, then the refrigerator with milk and then the display case with the pastry and savory dishes. The aperitif area is different; there the console will be of a smaller size to speed up the preparation of drinks. Different solutions and innovations can be found in the market for the organization of spaces and to make them more efficient and versatile. Good organization allows operators to be faster and offer better service. The most efficient and productive solution for your cafe is our Krupps!